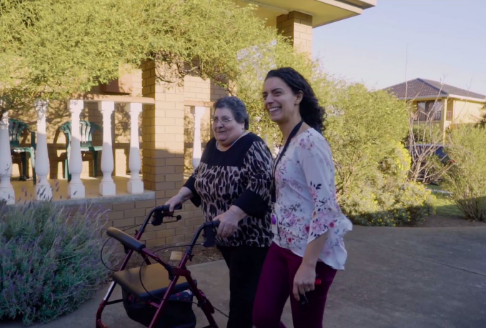 When Margaret Grey’s family felt she wasn’t coping at home, they started looking for a residential aged care community that could provide the extra support she needed. “We chose Peninsula View because it had a great atmosphere and lovely staff,” says Margaret. After experiencing the care at Peninsula View, Margaret says she now can’t imagine life without it. “I don’t need to shop for food, do housework or washing or pay any bills – they take care of everything. We even have a hairdresser who visits twice a week and a chaplain. And if there’s anything wrong medically, you’ve got somebody knowledgeable to talk to. 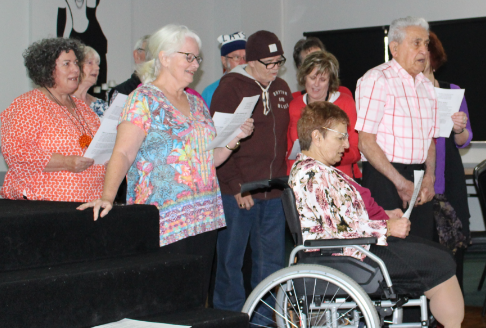 You can always have a word with a nurse if you have a concern.” Having support on-hand is also the reason Doug Faulkner and his wife moved into one of the four double rooms at Peninsula View 18 months ago. “My wife suffers from dementia and I have type 1 diabetes and we needed some extra help,” says Doug. Both Joan and Margaret agree the weekly happy hour is a crowd favourite. “Every Wednesday, people can have a glass of beer or wine and an oldtime 3-piece band play for us. They’re fantastic. We all dance and have a great time,” says Joan. If you would like to see what life is like at Baptcare Peninsula View Community for yourself we welcome you to visit us.